I heard it from an actor, who learned it from a teacher, who read about it in a newspaper interview. 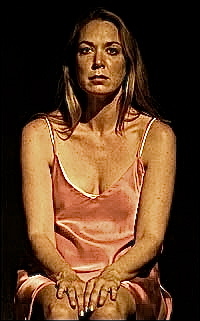 Stage actress Elizabeth Marvel prepares for a role by reading the script from start to finish. She then spends a full day in rehearsal. Inventing. Probing. Playing. Afterwards, as all actors do, she sits for the directors notes and at the very end of a long work day she returns home. But unlike most actors, (and this is where things get interesting), Marvel re-reads the play from start to finish. The end. One: Elizabeth Marvel is one of the world’s best stage actresses. Two: It tethers practice to mastery and discovering new things. Three: It separates source material from the lab. (In this case the script from the rehearsal.) And four: It deems repetition as a creative and bold way to move beyond the middle. Mind you, this story is hearsay and 100% unsubstantiated. Still the spirit of it is a tale of persistence, grit, and passion. It’s the sort of story I like to hear and the kind I like to tell. This entry was posted in Essential Dish, Uncategorized and tagged creative, Elizabeth Marvel, passion, practice, sassy, stamina, true grit. Bookmark the permalink.